Drivers for Windows 98/ME/2000/XP/Vista, Windows 7, Mac OS-8/9/X, Linux. Support for multiple devices. Driver provides virtual serial port to send and receive data. Powered by USB; no power supply needed. No GPIB cable needed; controller plugs on to instrument. All software configuration. No DIP switches. Metal enclosure for durability and reduced EMI. USB 1.1 and USB 2.0 compatible. Standard USB (B) and IEEE 488 (Male) connectors. 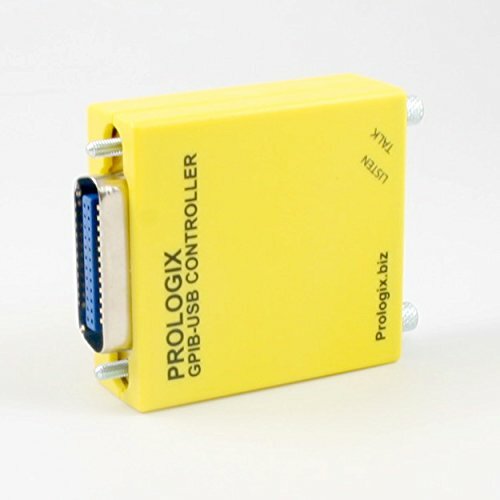 If you have any questions about this product by Prologix, contact us by completing and submitting the form below. If you are looking for a specif part number, please include it with your message.